I did a little research and found out where the notes on this little scrap of paper came from. It was shared by Molly Fletcher, a former college athlete, sports agent, and motivational speaker. If you have time to check out her website, it’s well worth the visit for some inspiration on being your best self. Putting yourself in the camp environment, you are surrounding yourself with other people who are working on these skills, too. These words actually become part of your daily vocabulary and conversation. 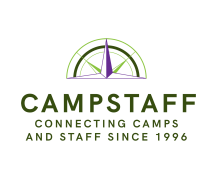 Camp people talk about these skills beyond orientation and beyond the handbook. Let’s take a look at them. 1.Being on time. So, as a counselor (or working in any other position at camp), you will find it necessary to be on time to be even sort of successful. Being late with a group of campers to lunch is the worst (for so many obvious reasons). Being late to activities makes you the bad guy with the person leading the activity, and being late to putting your kids to bed just results in cranky kids the following day. After your first week of not being on time at camp, I promise you that you will perfect your skills of being on time. The effort of doing so pays off and you’ve learned a new habit! 2. Work Ethic. What Molly is referring to here is the discipline of showing up consistently, and making the best decisions that lead to peak performance. Sooooo many opportunities at camp to not only show up, but to make decisions that lead to peak performance. Specifically, you will be in charge of a group of campers daily. Make great decisions as a role model and help them make great decisions, too. 3. Effort. You can do a job. Or, you can do a job with effort. You can go the extra mile. Pick up trash when you walk by it. Make intentional eye contact with your campers when they speak to you. Ask your supervisor if they need any help. We’re not asking you to be a genius. We are asking you to put some effort into your work. You’ll feel good you did. 4. Body Language. Camp is like a small laboratory for reading body language. You want to know if your camper is mad; just look to see how they have their arms crossed. Happy? Jumping up and down. Stressed: hand on the back of the neck. Lying to you? A quick look at the ceiling or floor. You’ll not only get to study the habits of your campers’ body language but become aware of what your body language says about you! 5. Energy. Energy is contagious at camp. Really. And contagious in a way that cannot be conveyed at a conference table or by waiting tables. All out body moving, dancing, leaping energy. Not all the time of course. That would be nuts; you’d be exhausted. Just like 98% percent of the time. Sometimes at camp you’ll be the one taking your energy from others and sometimes you’ll be the one to pass your energy on. 6. Attitude. I’m sure you have an attitude of some sort. Camp will just help bring out your best attitude. The “can-do, problem solving” attitude; the “count my blessings” sort of attitude; the “I can do this really hard something” attitude; the “I’m pushing myself farther than I thought I could go” attitude. Want some of this attitude? Go to camp! 7. Passion. I learned recently that being passionate about something does not mean you have to be happy with it all the time. It means you are willing to put the work into it even when it is hard and overall, you love it. It’s fair to say that camp offers this environment. Overall you love it AND it may be hard at times, AND totally worth it in the end. 8. Being Coachable. Great life skill. You can be coached in many jobs. Thing is, the people that will coach you at camp are the people that value the skills itemized on this list. This means your coaches at camp will prioritize your strong work ethic, your high energy level, your can-do attitude, and putting in the right kind of effort. 9. Doing extra. Extra work and preparedness fosters confidence. I love extra work at camp; it may mean blowing up all the balloons for carnival, it may mean leading a card tournament, or it may mean being a really patient listener. Extra work at camp doesn’t actually feel like work; it feels more like being your best self. 10. Being prepared. Show up to camp on day 1 prepared with some campfire stories and know the rules to Capture the Flag. Know your campers names before they arrive on the first day. Being prepared even means you know what cool trip you are going to take on your first day off! Short lesson: if you want to actively work on the above skills in an environment where others value them, too, camp may be the perfect place for you this summer! Camp directors….we see a great orientation staff training session here!